They say good food is the way to a loved one’s heart. 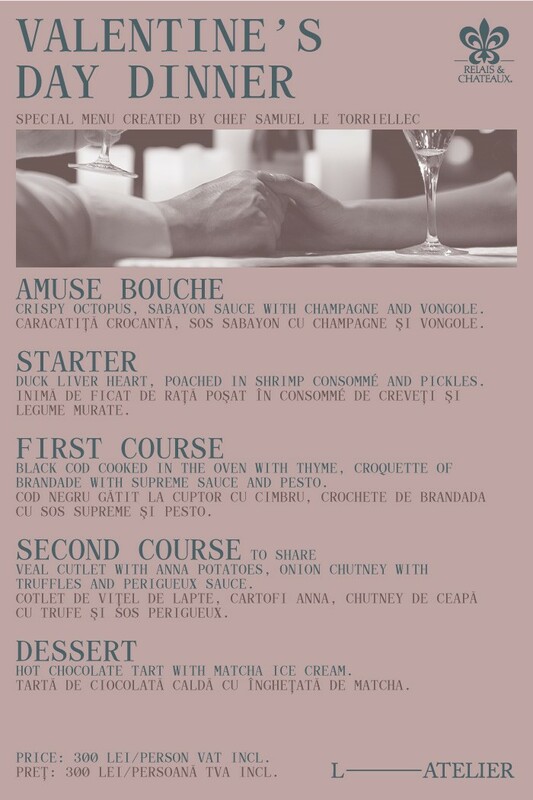 And what can be more romantic than a Valentine’s day culinary experience that will enchant your taste, your eyes, your heart. Chef Samuel le Torriellec has created an exquisite menu to mark this special day, available exclusively on February 14th for dinner. The intimate atmosphere of L’Atelier creates the perfect stage for your special evening.